I’ve launched my first iPhone app, the Recycling Group Finder for iPhone. 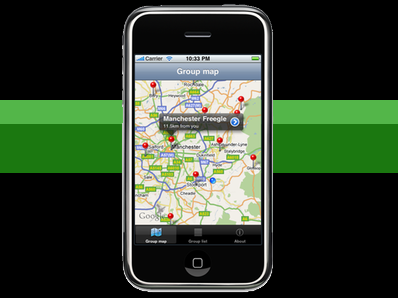 It complements the Recycling Group Finder web app making it even easier to find your closest Freecycle or Freegle group by using the iPhone’s in-built GPS. Check out the information page and give it a go, it’s free.